Releasing Soon! Sign up now for Free! ABOUT MAGENTO 2 RETURN ORDER & RMA EXTENSION. Did you know that the average return rate of an ecommerce website is 20%? If that number sounds bad, you’ll shudder to think that during holiday and special promotional seasons it can climb up to 30% or even 50%! Whether the customer purchased several items with the immediate plan of returning some, or they were truly unhappy with the products, the end result is the same; lots of extra work for you. - Around 40% of customers buy multiple sizes or variations of a product. - More than 75% of returned merchandise comes from repeat, or retained customers. - Around 90% of shoppers have returned an online purchase. - More than 80% will not do repeat business if the customer return process is too complicated. Not only can “blind returns” result in a higher labor cost, but they contribute to an overall less efficient process at the cost of potentially loyal customers. Without return flow tracking your customers will have no choice but to reach out to you multiple times until they see their refund hit their bank account. This also creates another issue as orders and returns come back to you unexpectedly throughout the day in oftentimes sloppily prepared and unlabeled boxes. Therefore, it is crucial for both you and your customer to understand the refund status and amount of incoming returns. ~ 67% of your customers will check your return policy before purchasing a product or service. ~ 58% of them are not satisfied with the ease and flow of the return process. ~ 72% spend and buy more frequently from brands that make the return experience simple. You and your customer aren’t the only ones suffering - so are the returned products! A company lacking in ecommerce returns management oftentimes will store returns in a corner, not treating them as sellable inventory until the next physical count. This is okay for a select few evergreen products, but what about seasonal or fashion driven merchandise for example? By the time these items can be sold they will be older, less desirable, and probably on heavy discount. A bad situation all around. While studies show that 10% of the supply chain cost is set aside for return and repair processes, this can be too little! If the returns software and processes are not optimize, that number would look more like a 30% loss in profit. 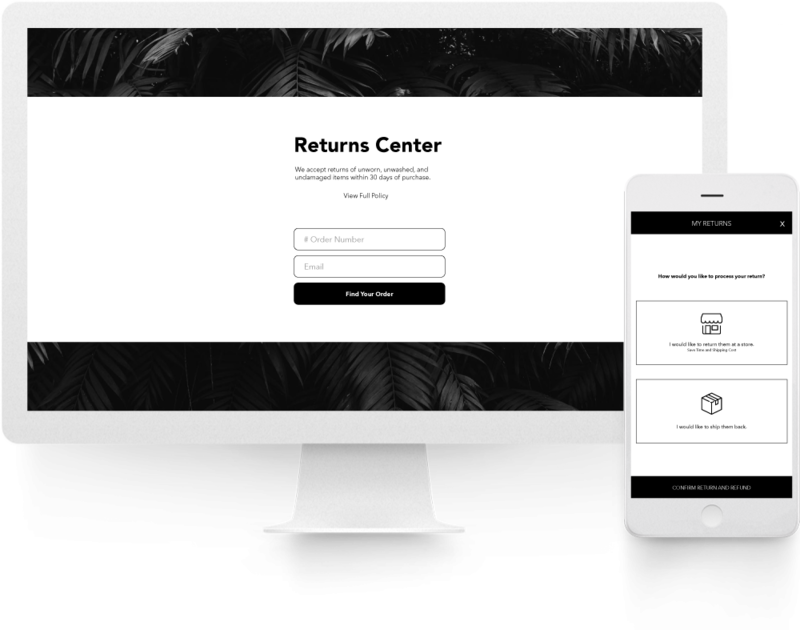 Wouldn’t it make more sense to invest in a Magento returns module that improves customer relationships, puts you ahead of ecommerce returns best practices, and simultaneously lessens your workload? Building a streamlined return process will make the process less challenging and result in better profits. This customer is notorious for purchasing a product, using it once, and subsequently returning it. This trend has grown in tandem with social media-driven culture, specifically the rise of Instagram. The fashion industry is among the most affected. THE “TRY IT ON” CONSUMER. These customers are essentially ordering your products just for fun, trying them on at home with no intention of actually keeping them. This customer replicates the brick-and-mortar experience of grabbing multiple sizes or colors of the same item and jetting to the nearest fitting room. Sure, they’ll end up picking one, but they’re definitely sending the rest right back to you. Amazon’s “Prime Wardrobe” feature has contributed to a rise in this behavior as it has begun to change the shopping habits and ultimately the expectations of a return policy for ecommerce websites. Segmenting your customers on their “return likelihood” is important, as it allows you to be flexible with your customer retention strategies. For example, you could offer a customer with a “low likelihood” free returns and not lose too much of your profits in shipping costs while those with a “high likelihood” could receive another promotion instead. You already know that solid product pages are important to improve the customer experience and lead to conversions, but what you do after that sale matters just as much! 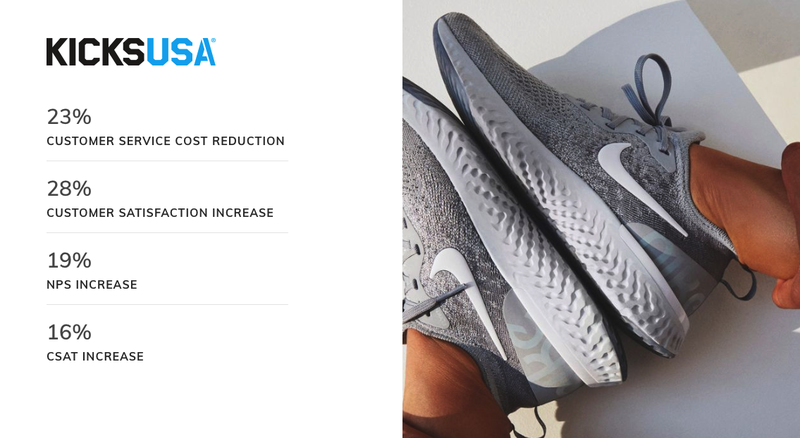 Change what can usually be a complex burden into a serious competitive advantage by employing our magento 2 RMA module to create a simple, transparent, generous, and most of all - manageable - return policy. Customer loyalty awaits! Give your customers more control by allowing them to easily submit their own returns. The entire process is configurable so you can adjust according to your comfort level. 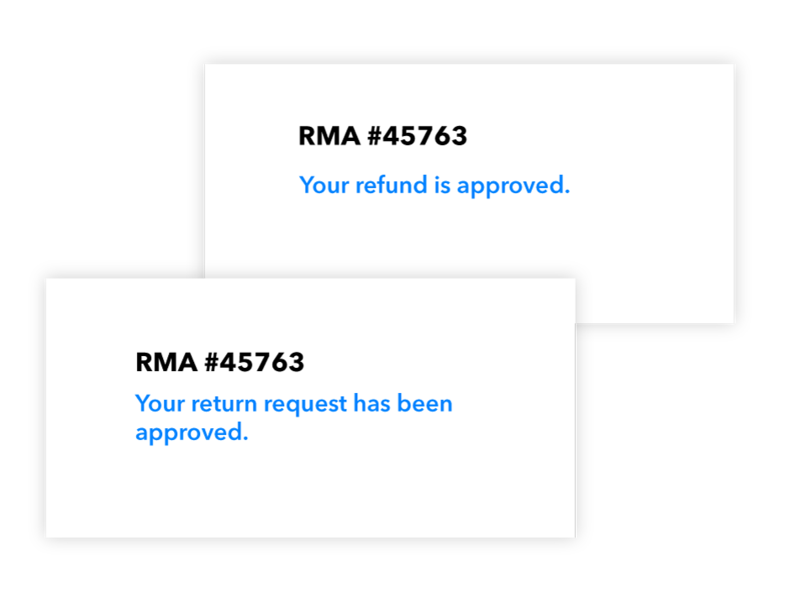 You can choose for RMA requests to approve automatically, provide shipping labels, and refund money. Save time and resources by allowing them to return products that were purchased online to one of your nearby store locations. 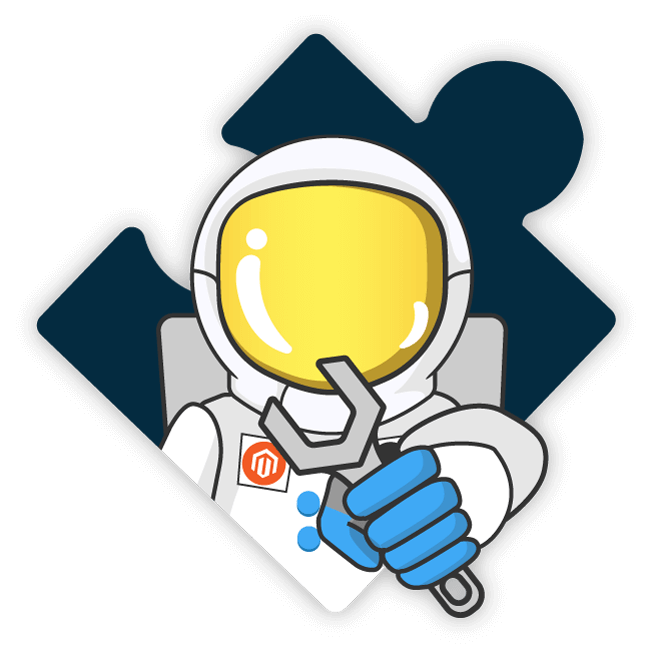 The possibilities in both customer delight and cost savings are infinite with this effortless experience-based Magento 2 RMA extension. TRACK AND PROACTIVELY NOTIFY YOUR CUSTOMERS ABOUT THEIR RETURN. Offering your customers the ability to track and be notified about their returns is essential for optimizing their experience. Notifying them proactively about their returns will significantly decrease customer support requests, as they can now anticipate the return process completion. Your customers stay informed regarding their returned package, including detailed notifications about when it’s received back into your hands and when their money will be refunded. A transparent return process decreases customer contacts so you can focus more energy on growing your business! You’ve already wowed the customer with a great shopping experience, and given them the product of their dreams. Don’t throw all that hard work out the window and risk losing their loyalty after the fact due to a high effort returns process. Perception is reality and when things go wrong it’s a perfect time to show your customers that you’re on their side. DON’T DISAPPOINT YOUR CUSTOMERS - TRUST IS AT STAKE! If you find yourself falling behind with processing the influx of returns that have begun to pile up during a peak or holiday season, you’re not alone! However, while this is not uncommon, it’s still a huge mistake that could be costing you valuable customer loyalty. Stay on top of it with our return automation solution. We’ll help you keep your promise by simplifying flow and letting you know what’s coming your way so you can schedule your team effectively. By checking your incoming returns daily you will differentiate yourself in the eyes of even the most impatient and demanding customers! DRIVE IN-STORE FOOT TRAFFIC WITH CONVENIENT RETURNS. 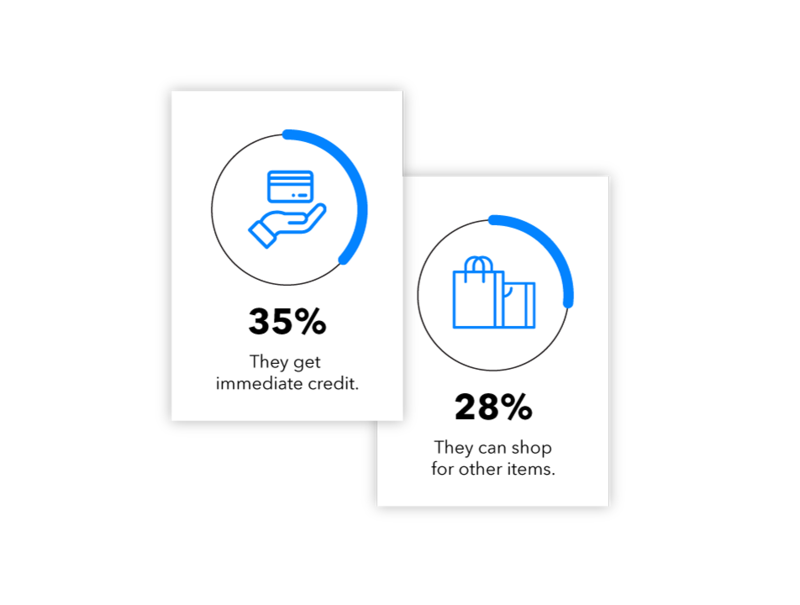 Close to 50% of the Affluent and Millennial shoppers say they prefer to return a product in store rather than sending it back. This is win-win for everyone. They get their refund immediately, and you have a chance to expose them to more of your great products while they are making their return! If your business has a brick and mortar presence, now is the best time to offer the overwhelmingly preferred choice for online returns. Our solution offers your customer the option of quickly searching for a nearby physical location that can accept their returns, making it even easier for them. USE SMART RETURN RULES TO PROTECT PROFIT MARGINS. Smart return rules allow you to customize the return policy for each individual customer based on your needs. Protect profits by limiting returns on highly discounted products during promotion-heavy seasons or holidays while simultaneously still offering a generous policy for full priced items purchased during the same timeframe. Our solution even lets you adjust your return policy details based on a specific product attribute or SKU. This is particularly helpful for industries that sell products with a high re-sell value on limited edition products, such as sneaker retailers. Many times the item in question will sell out instantly to buyers who wish to sell the product again at a higher price. If the surrounding hype dissipates or they are not able to sell the product for the desired amount, they will often return the product to you. Now you end up with a product you thought you had sold out, up to 30 days after the marketing campaign surrounding it had ended. No good. Another common item excluded from returns are Mystery Boxes. The idea behind these campaigns is to sell through various highly discounted, randomly selected products. Oftentimes these products are either out of season, or soon to be, and the objective is a last chance to get them in the hands of customers. Some retailers will either not allow returns for such items or they will only offer store credit to their customers. The choice is yours. During the peak seasons an automated return process will save you time as well as will significantly decrease the Customer Service touchpoints, ensuring a better customer experience during the busiest times. To stay on top of the situation - and truly provide an effortless experience - a streamlined tracking, notification, and returns process is a must. 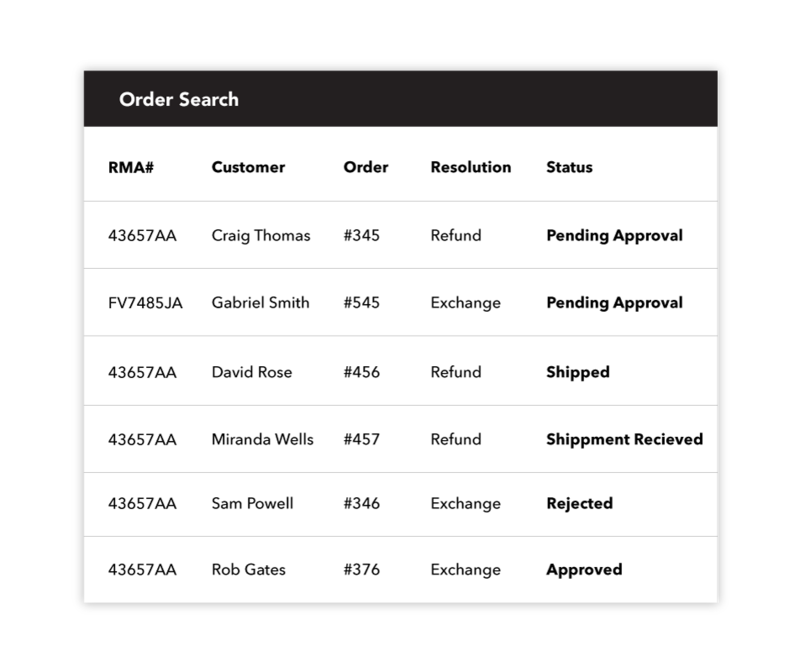 TURN RETURNS INTO NEW ORDERS WITH MARKETING ASSISTS & PRODUCT RECOMMENDATIONS. Make every experience shoppable! Just because you customer is returning a product does not mean this is the end of the journey for them. They have already offered their credit card once, so what’s to stop them from doing so again? Take this opportunity to showcase alternative products to your customer or introduce them to new promotions, sales, or campaigns! A product recommendation engine can help you make an upsell to a customer’s previous purchase, leaving them feeling totally satisfied with the experience and retaining loyalty to your brand. STORE CREDIT AND GIFT CARD. Many retailers make the classic mistake of making their customers wait for the refund while the return is processing. This could take a while, and takes away some valuable shopping time. 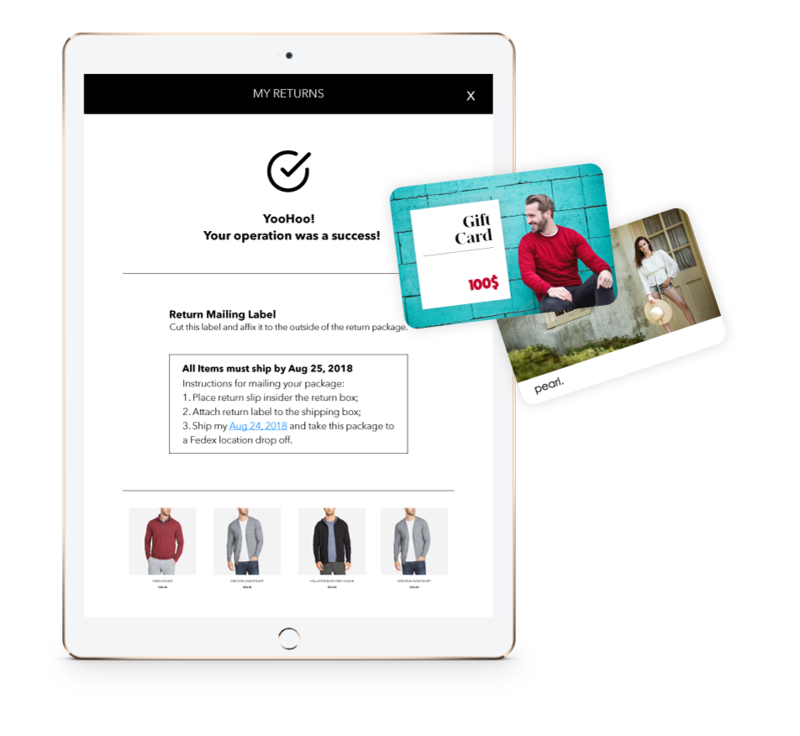 Enable them to purchase again right away by utilizing a gift card generator or by offering store credit. While you’re working on the return they’re already happily shopping with you again! INVESTIGATE, ANALYZE, AND OPTIMIZE YOUR RETURN PROCESS. After a major event or holiday season, your return rate is likely to increase dramatically. This is a crucial time to be gathering and analyzing data to optimize your policy, processes, and return logistics! We offer multiple data points to help you analyze and improve your return flow. Afterall, understanding why your customers are returning their products in the first place is critical towards improving your services. CSAT (Customer Satisfaction), and NPS (Net Promoter Score) are two important sources of feedback that offer tremendous insight into improving the return experience. NPS, for instance, can be surveyed specifically for returns. This will let you identify a recurring sizing issue or quality issue with a manufacturer. Keeping an eye on analytics makes sure you finger is on the pulse of your business. By singling out and dealing with these pain points, you are on your way toward bettering your return process and offering the effortless experience your customers are demanding. YOUR CUSTOMERS ARE GOING TO RETURN THE FAVOR. Let’s face it - companies like Zappos and Amazon are changing the game when it comes to shipping and returns. 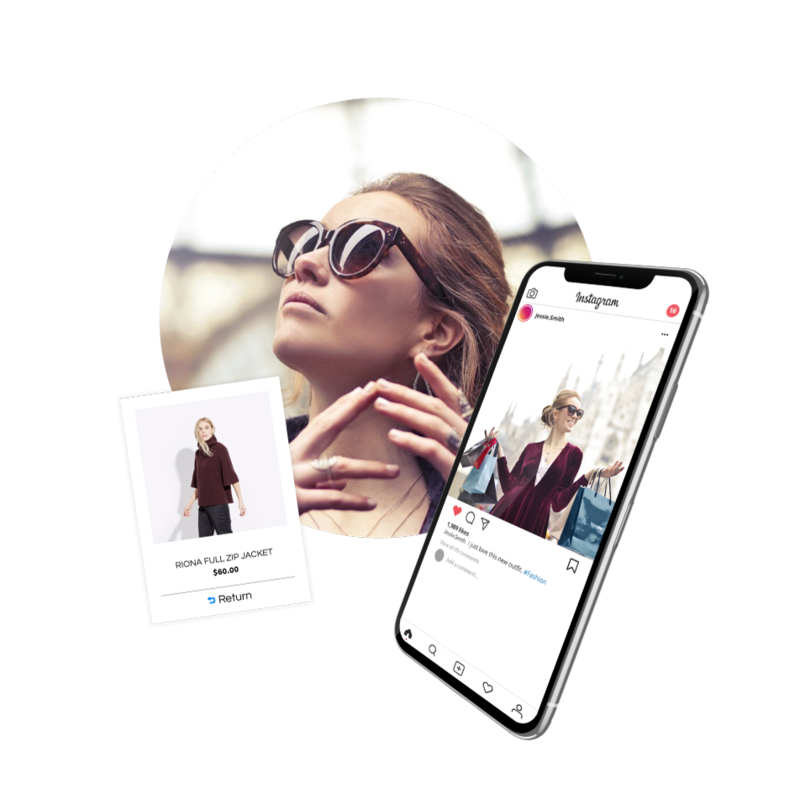 With every new customer-centric initiative these brands roll out they are setting the bar higher for all online retailers, regardless of size. While you may not have the same resources at your disposal, there’s nothing stopping you from being smart and optimizing to keep up with them - and our solution can help! Even though these are great challenges to overcome, there is a positive side. Companies who persevere and balance a generous return policy with a solid profit protecting strategy will reap the rewards of a higher average order value, increased purchase frequency, and lifted conversion rate. Also, 89% of customers who have a positive, effortless experience with returning an item are likely to purchase from you again! You're reviewing:MAGENTO 2 RETURNS AND RMA.